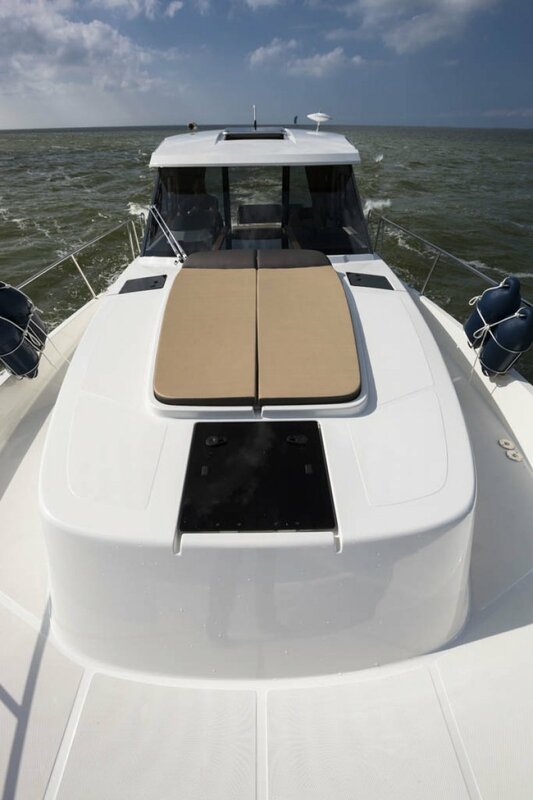 New boat. 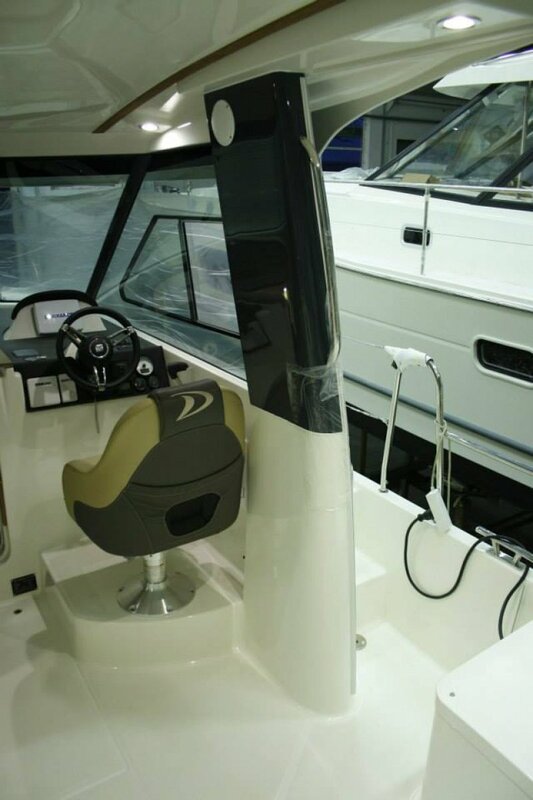 The newly released Delphia Escape 1100S was intended to exceed the standards and expectations of the motor cruiser/sports cruiser market. And it has. 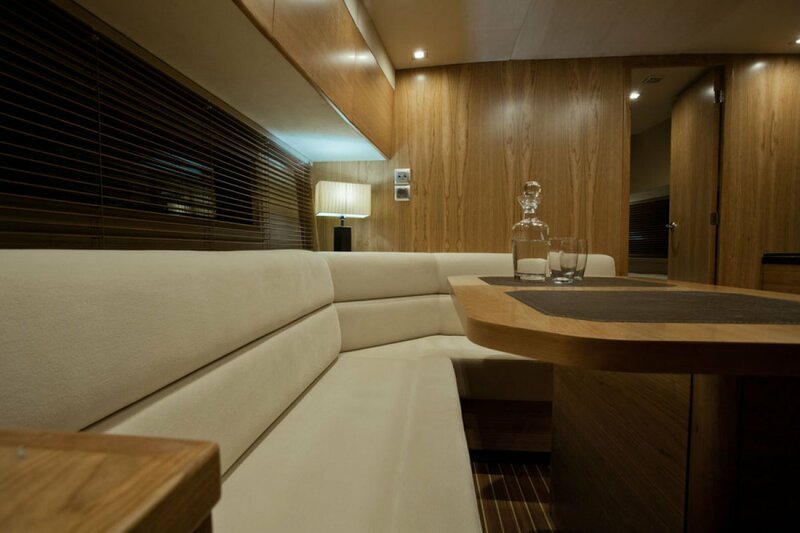 With a spacious comfortable interior, this contempory European design is a unique fresh face compared to the motor cruisers that havent changed much in 50 years. The underwater hull shape is the biggest evolutionary feature seen in planing hulls for many years, providing both a very easily driven hull with negligable bow wave at displacement speeds, resulting in very good fuel economy, and a hull easily got up planing with reduced wetted area, less drag and excellent performance. 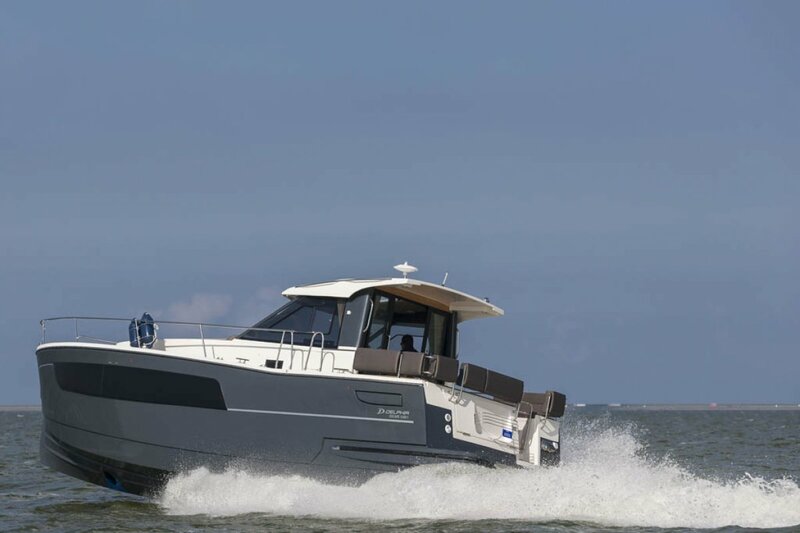 The Escape 1100 S is agile, manouverable, and features excellent visibilty from the helm. 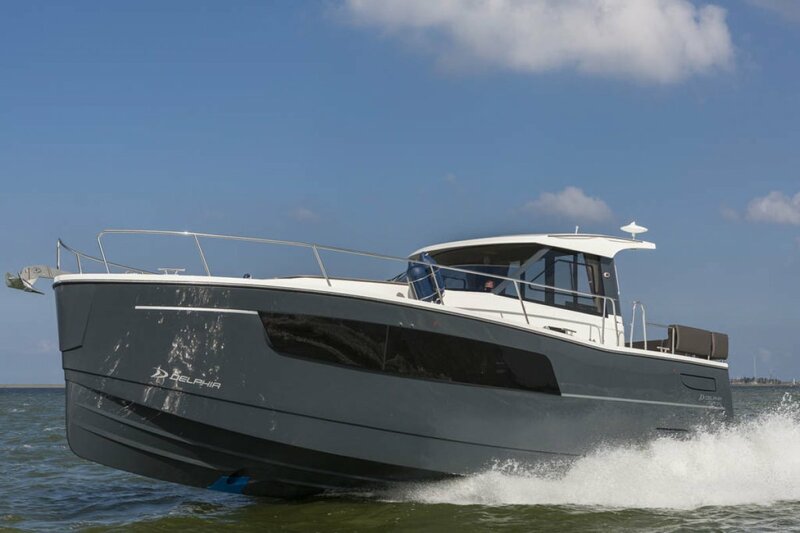 A shallow draft with the standard fitment bow thruster allows 360 degree on the spot turning to make berthing easy in any conditions, and navigate tight waterways or excecute precise manouvers. 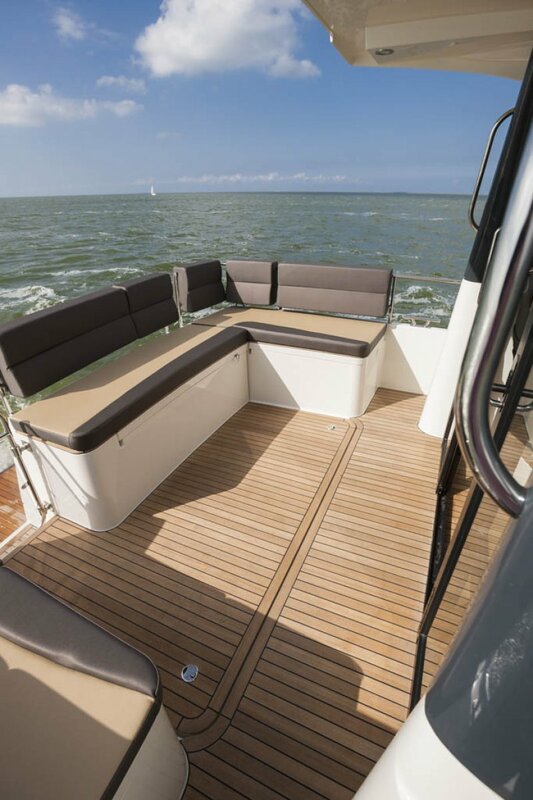 The craft is designed with consideration to the needs of children and the elderly with bulwards and safety railings suurounding the decks. 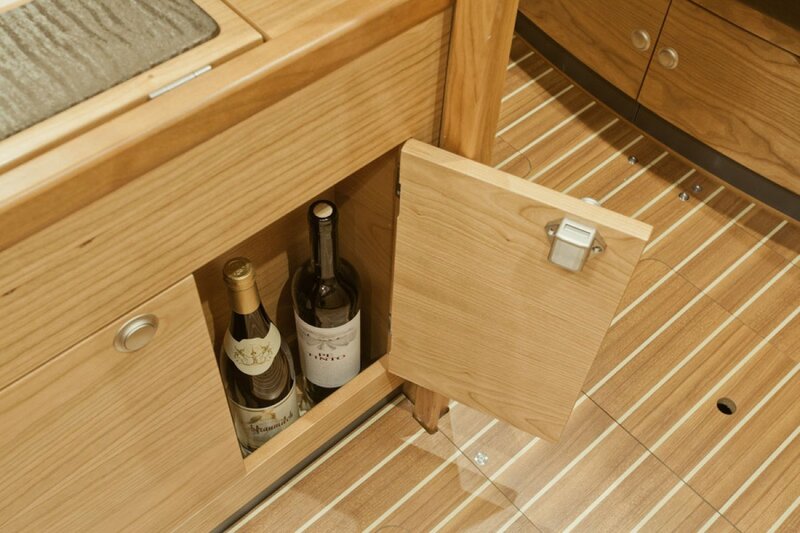 Access to bow and sundeck is easy and safe. 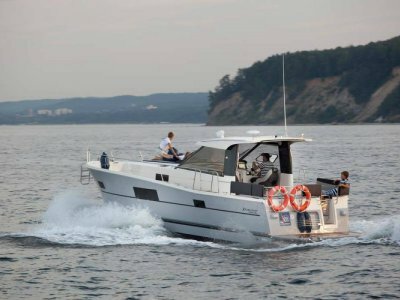 The Escape 1100 S can be adapted to individual owners requirements, can be built how you want it, with a wide range of options and packages available for inside and outside the boat, though Australian spec boats have value added options to suit our conditions. 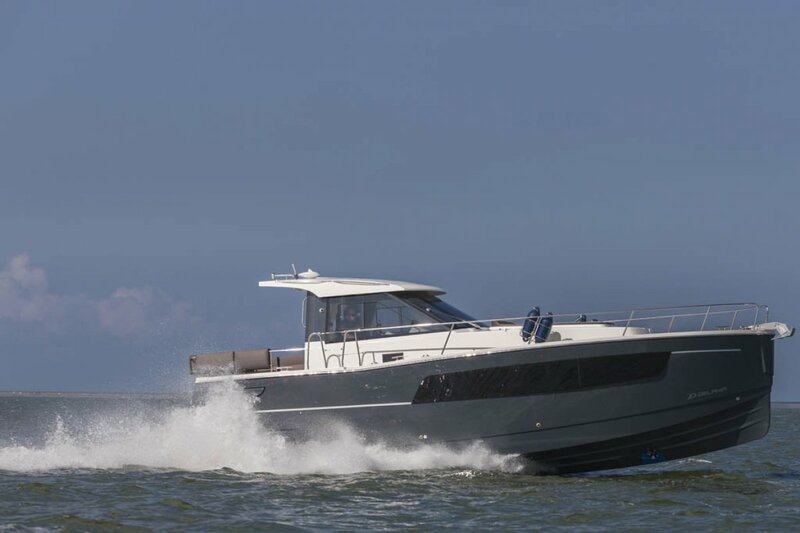 The vessel is available with the standard 2 double bed cabins, or optional 3 cabins, and features a spacious sundeck with removeable mattress, a comfortable spacious dining saloon and a well equipped galley. 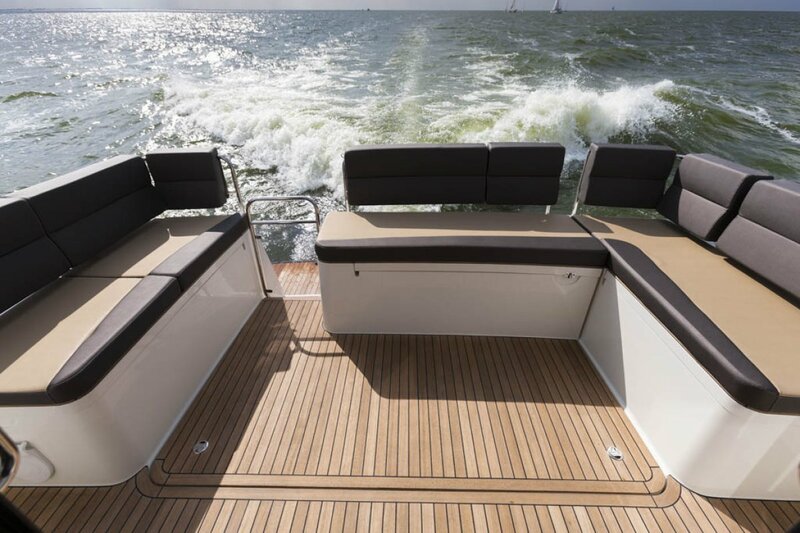 The Escape 1100S is fitted standard with a Volvo 300HP 4 cylinder diesel and duoprop Z drive with trim, enabling good open sea performance even in demanding waether conditions. 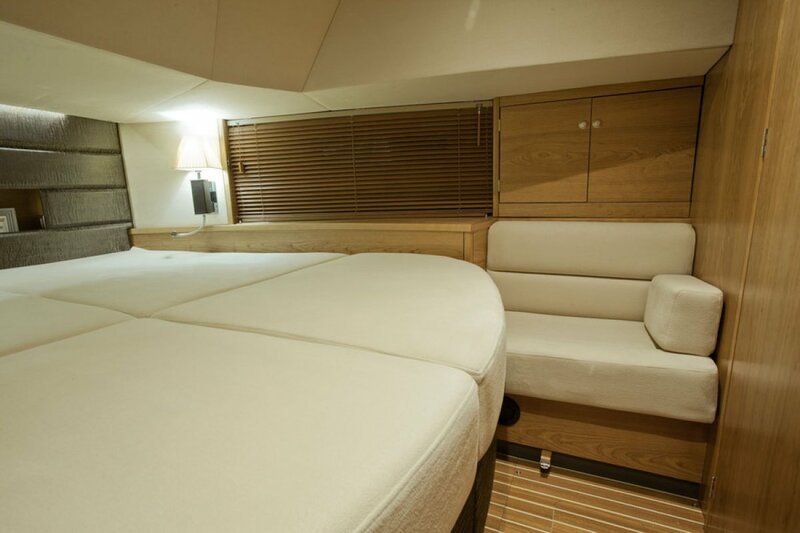 Hull length is 9.95m, and overall length including boarding platform at stern, is 10.8m. 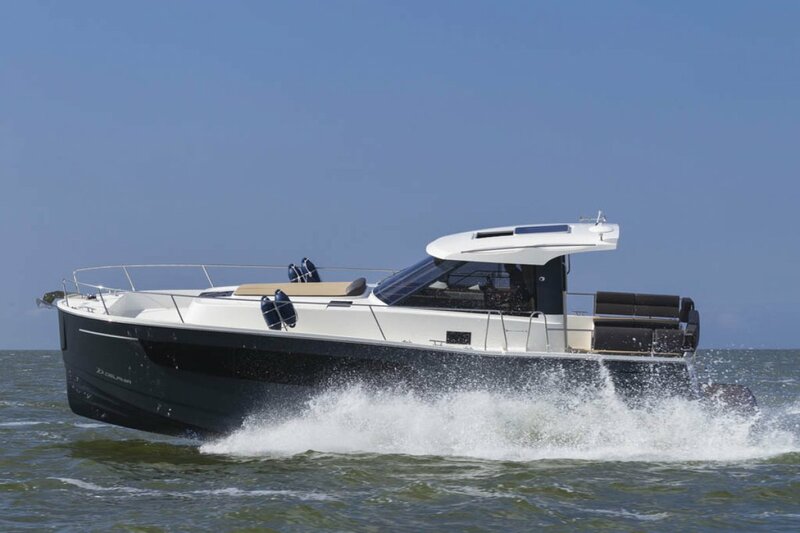 Diesel powered 3.8kw available as an option. 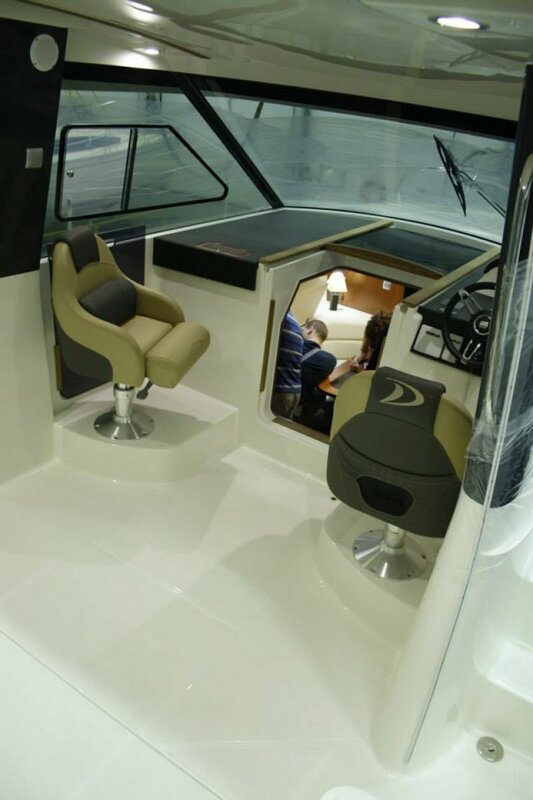 Optional awning over cockpit slides out from under wheelhouse roof. 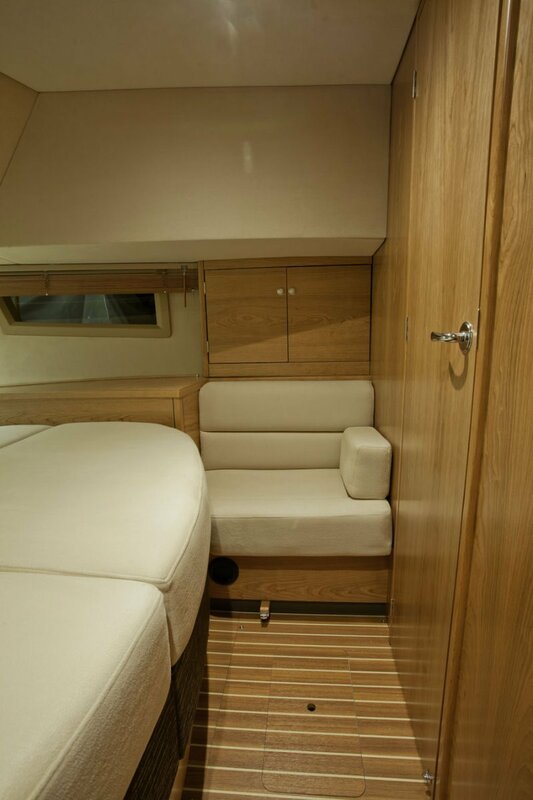 Large double in forward cabin, with seat, hanging lockers, shelves and storage lockers and storage drawers under bed. 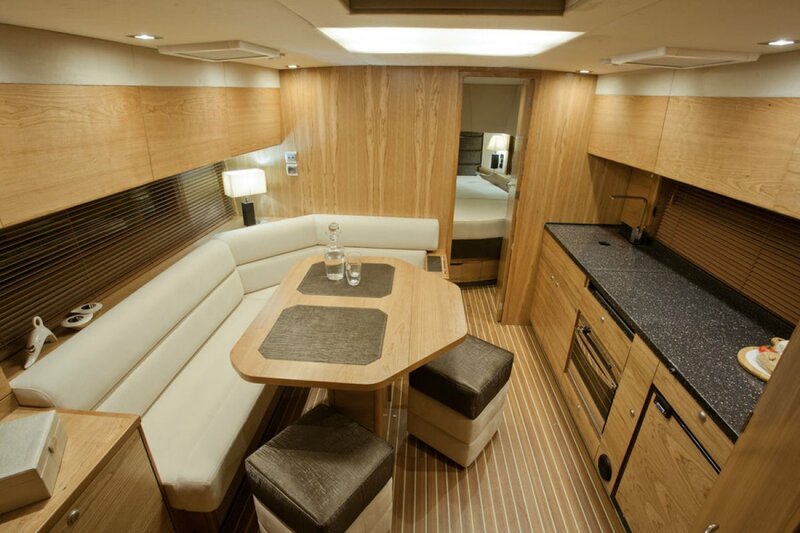 Aft cabin with generous double bed, hanging and storage lockers. 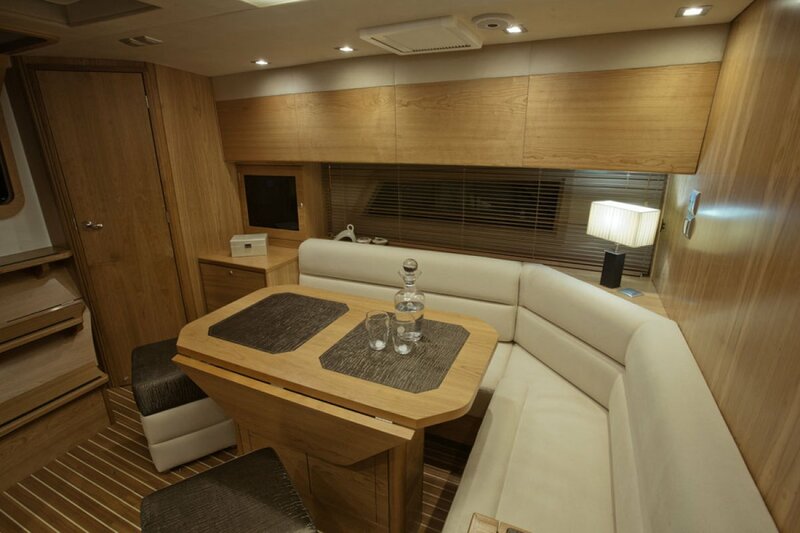 Saloon features an L shaped setee with drop leaf dining table, a well equipped galley with Corian benchtops. 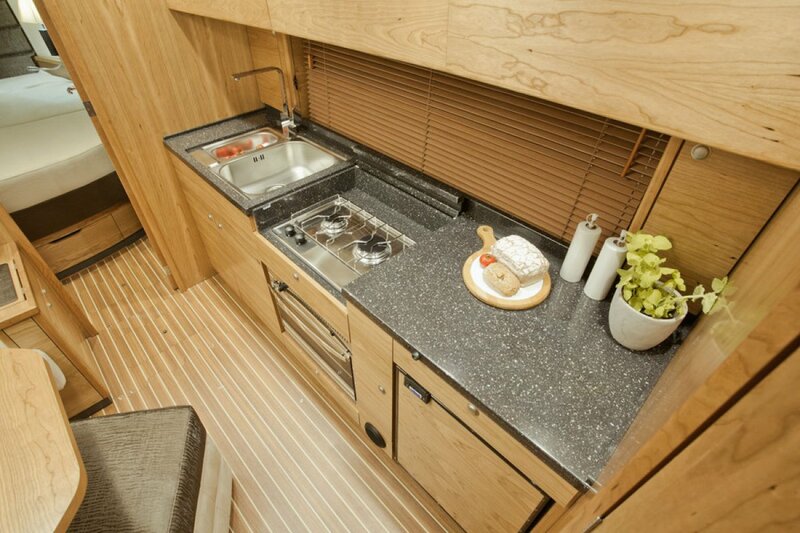 Stainless steel sinks with hot and cold water, 2 burner LPG cooktop with stove, front opening fridge, durable and good looking Corian benchtops providing more than ample working space to cater for a large crew or guests. 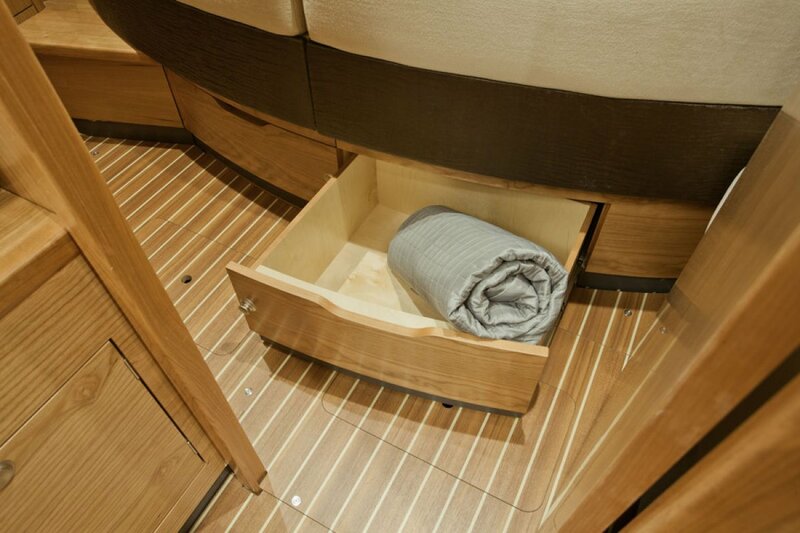 Well though out galley with more than usual storage. Quick 12V electric anchor winch. 10KG Delta anchor with 50m x 8mm gal chain. Fire extinguishers, bilge pumps, manual and electric, and to be added at time of delivery, 406 epirb, life jackets etc. Wired 240VAC and 12VDC. 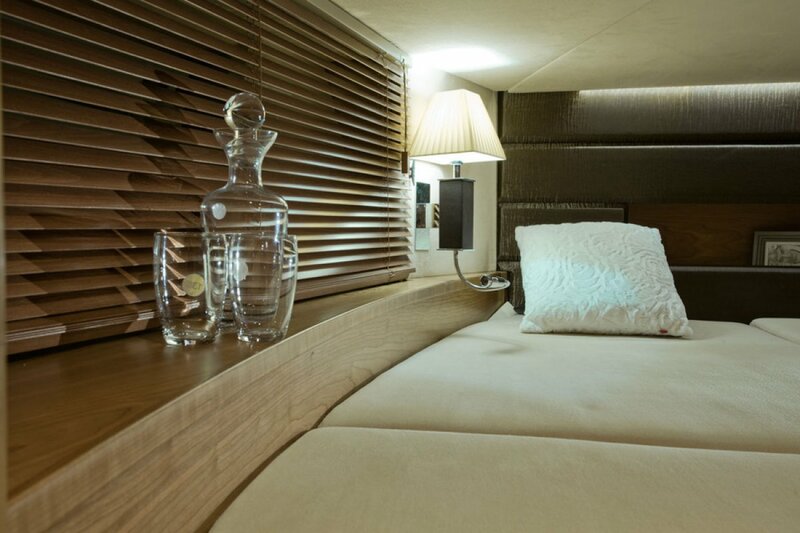 Led lighting throughout. Hot water service. 60amp battery charger. 2 x 165AH batteries, TV antenna, wiring and socket. Diesel powered 3.8kva genset is an option. Ducted airconditioning an option. Lowrance HDS12 Gps/Plotter/fishfinder depth sounder, touchscreen with built in arial. Lowrance Link 5 VHF transmitter with DSC and antenna. 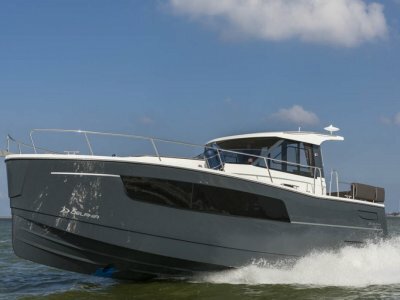 Simrad autopilot. Fusion 205 series stereo with am/fm/vhf/ipod/usb with 2 speakers inside and 2 speakers outside. 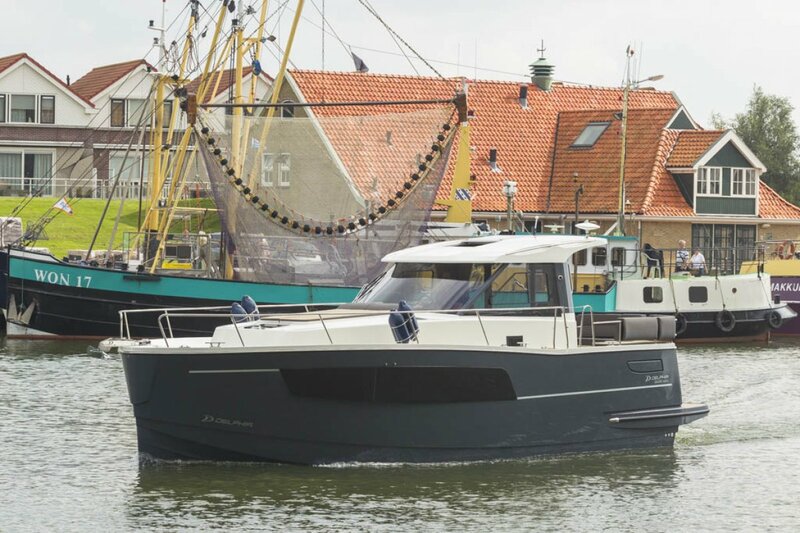 4 docking lines, 8 fenders, bow rail and full safety railings, mattress for sundeck, cuchions for cockpit seating. 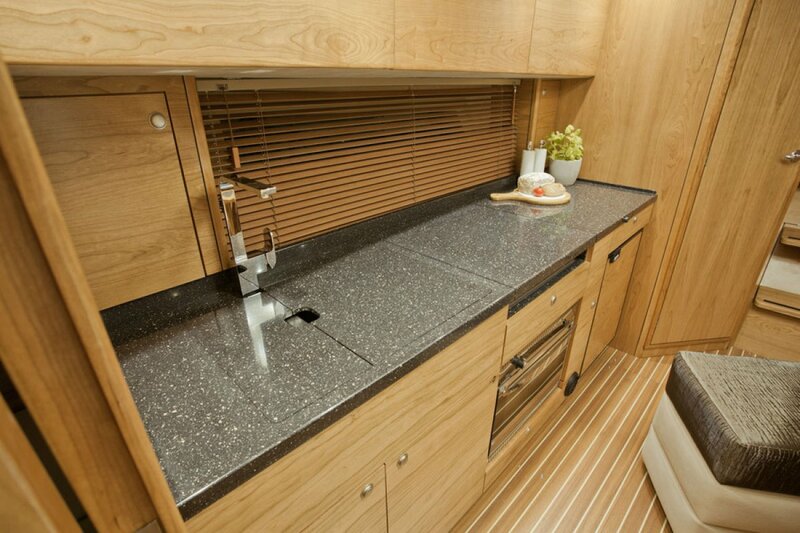 Wheelhouse can be made lockup with optional glass sliding door and bulkhead. This is a versatile all rounder. 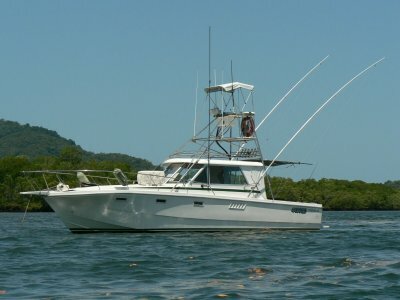 Get out to the reef or your favorite fishing spot quickly, or relax, sedately harbour cruising.